How are Advance Concrete files exported to DWG? Advance Concrete provides the option to export all the drawings (reinforcement drawings, isometric views, elevations, layouts) in DWG format that can be opened with AutoCAD®. In order to export a reinforcement drawing or a layout use the "Export to DWG" option which can be accessed on the "Publish" ribbon on the "AC: Drawings" menu or from the drawing's properties list. 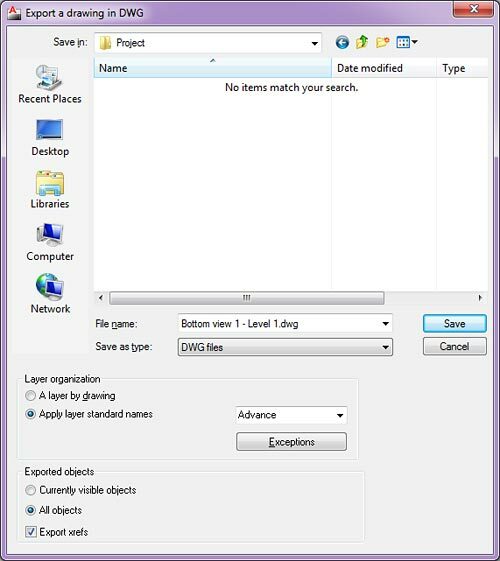 On the export dialog window there are several export to DWG options available which change the aspect of the exported file. While the work on the project is in progress (the user creates reinforcement views, isometric views, reinforcement bars, symbols, etc. ), Advance Concrete automatically creates layers; we can export DWG files to AutoCAD® for various reasons (from last minute modifications to plotting issues). For these situations, especially if the layout does not have many entities, we choose to export the files with "A single layer by drawing"; by exporting the file with this option, Advance Concrete assigns "Layer 0" to all entities. If the drawing which we want to export is complex, we might find it useful to export the file to DWG so Advance Concrete will create layers following the chosen Layer standard rules. This option is useful because each type of entity will be assigned a custom layer which will make its identification easier. 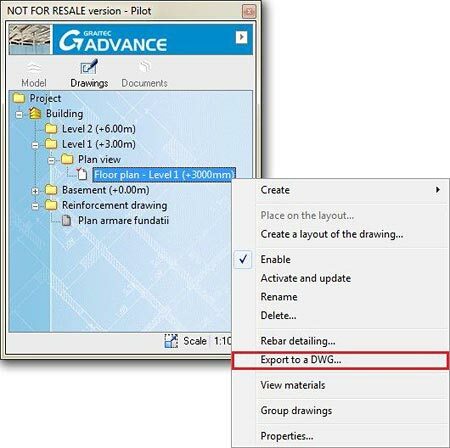 Users can create their own set of layer rules, or they can choose a predefined one (Advance, AIA, CAS-3.0, etc.). 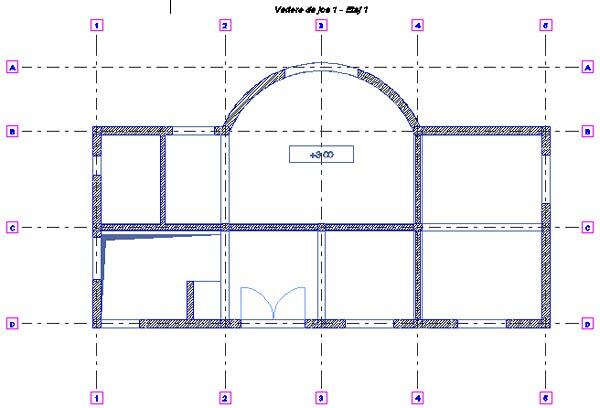 Most of the time, when a structure is detailed, AutoCAD® entities are also used. 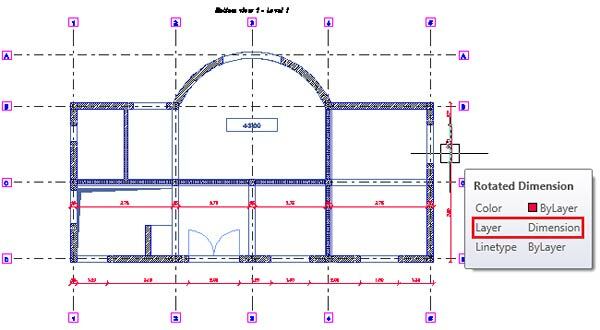 For this example, we consider the dimensions as being AutoCAD® entities which are assigned the user-defined layer named "Dimension". If the "Dimension" layer is frozen and hidden and the user exports the file to DWG with the "Visible objects" option checked, the file looks like the following figure (the "Dimension" layer is missing). 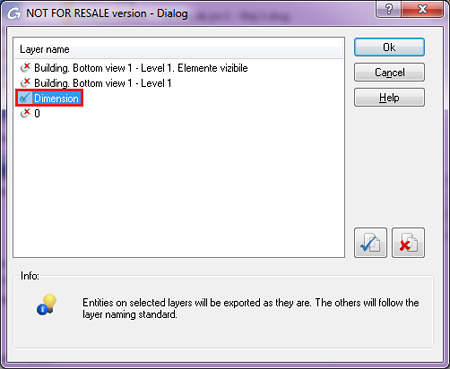 If the same drawing is exported and the "All objects" option is checked, the exported DWG file has all the dimensions visible but they will be assigned a layer created by Advance Concrete depending on the chosen "Layer Standard"; if the "Exception" option is used, the exported DWG file keeps all the layer names.